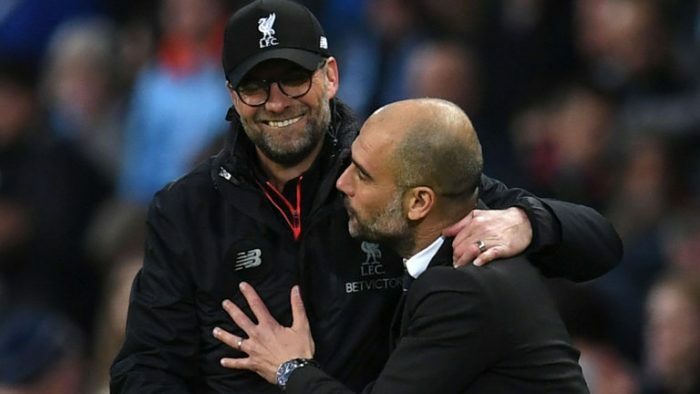 Pep Guardiola expects Liverpool to mount a strong Premier League title challenge next year. Guardiola’s side have swept almost all before them during this season’s title-winning campaign but Liverpool have been them three times since the turn of the year. Jurgen Klopp’s side have been one of only two teams to beat City in the league while they also won both legs of their Champions League quarter-final. Liverpool have gone on to reach the final of the European competition and Guardiola thinks they can be a force in the top flight next season. “This season they were a big contender and they will be again next season,” the City boss said. “I will not say just Liverpool, but it’s true – Liverpool, [because of] the way they play and the quality of their players, not just up front. “I think [Virgil] van Dijk has helped them a lot to be more consistent in the defensive department, especially in the box, and [there is] the quality up front and the quality in the way they play.